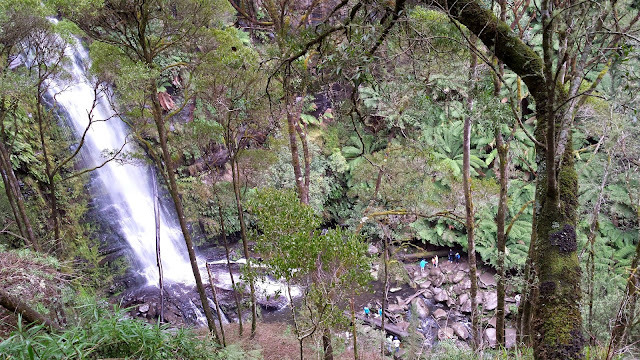 One of the highest drops in the Otways, the stunning Erskine Falls can be viewed from an area not far from the carpark. 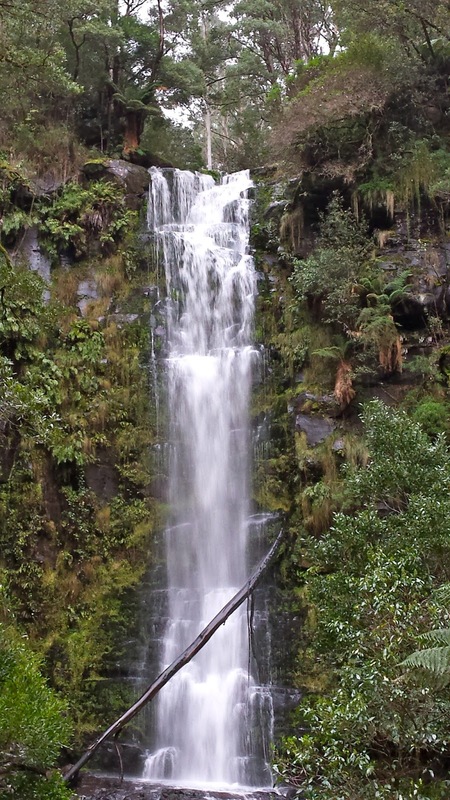 After traipsing down trails and steps to other falls nearby, we were pleased to find we could see these falls without too much effort. But it wasn't quite the same as being up close...so off we went. The spectacular cascade drops 30 metres into the pool below, forming a rocky waterway at the base, the Erskine River. 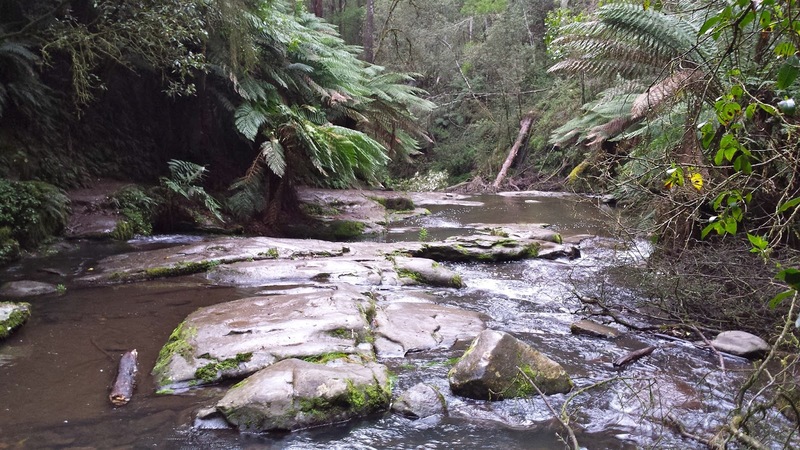 It was a strenuous walk down to the bottom of the falls, with hundreds of steps and a steep muddy track, but the lush fern gully surrounds made the trek enjoyable. On the way back up, my 7yo was making silly noises with her mouth. To our surprise, she got a reply from a critter lurking in the underbrush. For the next 5 minutes she would make her noise, and a response would come from under a rock. My daughter, the frog whisperer. 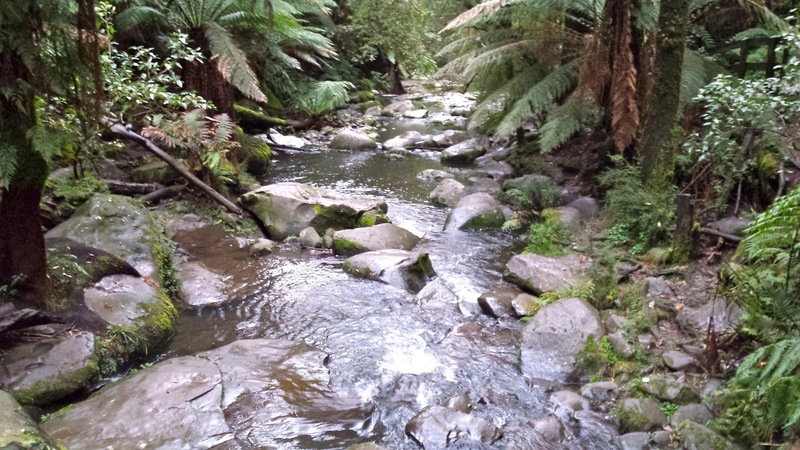 Down the road to Lorne"